Thank you for your interest in our upcoming return trip to Little Cayman, April 4-8, 2019! Located just 90 miles south of Cuba, Little Cayman is the smallest of the three islands that make up the Cayman Islands. Although "sleepy" compared to it's largest sister island, Little Cayman offers fantastic reef and wreck diving that rivals any other Caribbean island! We will be staying at the famous Little Cayman Beach Resort, located right on the water. Amenities include comfortable air conditioned rooms, swimming pool, hot tub, full service bar and dining area. Also, a first class dive operation right on the hotel premises, complete with a dive shop, dive boats and gear lockers! 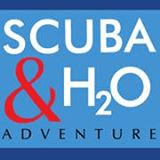 Pricing for this trip is $1299.00 for diver, double occupancy. 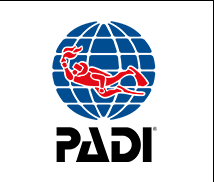 $1658.00 diver single occupancy. $1119.00 non diver double occupancy. In the past, we have taken advantage of direct flights either on Jet Blue or Cayman Air from NY's JFK airport, then catching a connecting inter-island flight from Grand Cayman to Little Cayman. At the moment, the direct flights on Cayman Air seem to be the best bet. Please see below. Jet Blue direct flight to Grand Cayman is full in coach and what's available is double the cost of Cayman Air. As with all of our trips, in order to secure your spot, I will need a non refundable deposit of $500.00 with balance due 60 days (Feb 4) prior to departure. 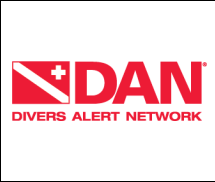 Once deposited, you will be required to pay any balance due, so trip insurance is highly recommended and can be purchased at dan.org or diveassure.com. Again, thank you for your interest in this trip! If you have any questions, please feel free to e mail me at orbitdive@aol.com or call me at 203-333-3483. Hope to hear from you soon! Suggested Flights: Cayman Airways from JFK to Little Cayman --pricing out at $545 per person as of 1/24. My flight and hotel agent Dawn@caradonna.com can help you book the flights and you can use your credit card for payment.